College is costly. There are many ways to help you pay for it, though. Here are the basics on your options - from scholarships and grants to federal and private loans. The good news is your options are vast. You could get an offer for a combination of funding options. Understanding how they work can help you make the right choices for your future. What Happens if You Accept a School's Offer? Did you know: Navient is the largest Federal Student loan servicer in the United States with over $300 billion in total loans serviced. Before we discuss student loans, let's look at grants and scholarships, also known as "gift aid." 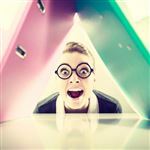 You may be surprised to discover how many grants and scholarships are available - so even if you think you're not financially worthy, it's worth looking before you try borrowing money. Grants are often financial aid provided by the federal government. They award money according to your financial need. There are several grants available, including the Pell Grant, FSEOG, and TEACH grants. Pell Grant: This is an undergraduate grant that is awarded based on financial need. You must reapply for the grant each year you are in school. The grant maximums change each school year. For the year 2017-2018, the maximum offered is $5,920. FSEOG: Stands for Federal Supplemental Educational Opportunity Grant. Only undergraduates with exceptional financial need qualify for this grant. Not every college offers this grant. The maximum amount offered is $4,000. You must reapply for the grant every year. TEACH: Stands for Teacher Education Assistance for College and Higher Education. Only students taking specific classes to become a teacher qualify. In addition, you must sign an agreement to teach in a specific field (high need) and in a low-income area. If you don't meet the terms of the agreement, the grant turns into a direct unsubsidized Loan. We discuss these below. Scholarships are money awarded directly from the school. They base the awards on specific accomplishments, such as academic or sports achievements. Every school has their own scholarship programs. You may also find scholarships from private entities throughout the community. Once you've gone through all those options, then it's time to look at loans. Below we discuss federal and private student loans. The federal government provides several types of loans. Some are harder to qualify for than others, while many are available to anyone, regardless of their financial need. They do not require a credit check or a cosigner in most cases. Interest rates on Federal Loans are usually fixed, so you won't need to worry about your payment going up due to your interest rate. Federal Loans offer multiple repayment options. Here's why this is the place to look after you've tried grants and scholarships: Many federal loans offer low, fixed interest rates. They also offer payment restructuring options after graduation. Most importantly, payments don't become due until six months after you graduate. But know that interest accrues from the date the money starts getting used. Below we discuss the most common federal student loans. Date of disbursement: This is the date the government "hands out" your money. They often pay the school directly first. This covers tuition, books, and room/board. You are then eligible to receive any funds left over. Keep in mind there are no penalties for paying your federal student loans off early. Subsidized: The government offers aid based on your financial need. You determine this amount by completing the FAFSA. We discuss this below. The government covers your interest while you are in school and for six months after graduation or from the date you stopped attending classes. They also cover your interest during any times of deferment. Unsubsidized: Eligibility for these loans is not based on financial need. Typically, you go through your subsidized loan options first. Any remaining funds you need can be obtained with a direct unsubsidized loan. This is also known as the Federal Stafford Unsubsidized Loan. This loan begins accruing interest from the first day of class. PLUS: Graduates are ineligible for direct subsidized and unsubsidized loans. But they can get a PLUS loan. These loans are a little harder to qualify for. You may not have a negative credit history. You must also exhaust all other federal loan options first. Consolidation: After graduation, you may have multiple loans with different due dates. The direct consolidation loan helps make this happen. Learn more about which student loans qualify. For more on direct loans, read Subsidized vs Unsubsidized Student Loans. Note: Federal Perkins loans are available through September 30, 2017. These are loans for students with exceptional financial need. The money comes right from the school. Not all schools offer it. If you still have financial need after doing what you can with federal loans, consider private student loans. This is money offered by banks and credit unions. Basically, anyone not affiliated with the government. Cosigner: When applying for a private loan, or if you or a parent are originally denied a PLUS loan you may require a credit-worthy cosigner. What does this mean exactly? Well we all have credit scores attached to our names and depending one what yours is when you apply will depend on if you're eligible or not. Fixed or variable interest rates: Government loans offer fixed rates. Private loans may not. You may have a loan with a rate that adjusts annually or even several times a year. Make sure you read the fine print. Also, ask what the worst-case scenario is if the rate is fully adjusted and if there are any penalties incurred for paying the loans off earlier. This way you can determine if this is a good option for you. Varying terms: Private loans have different terms. This means how long you have to repay the loan. The shorter the period, the higher the payments. Longer repayment periods may mean more interest paid. Varying repayment options: Government loans offer repayment plans. Private loans don't necessarily offer the same program. Every lender is different. Ask each lender before you take on a new loan. 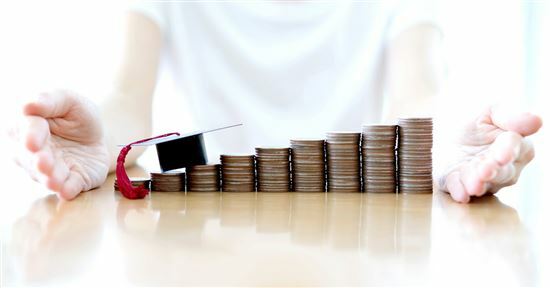 Keep in mind that even paying the interest while you're attending school can help you over the long term, read 23 Best Ways to Pay Off Student Loans Fast. Many lenders offer better terms and interest rates for borrowers with higher credit scores. A good threshold to use is 650. Scores lower than this number may have higher interest rates or fees. And some lenders may not provide funding for these borrowers. Generally, the maximum repayment period is 25 years. This varies by lender, though. Some lenders also offer deferment. This means you may temporarily stop payment on your loans. Interest may still accrue during this time. When you can make payments again, you pick up where you left off. The FAFSA, which is the Free Application for Federal Student Aid, is the first document any potential college student should complete. Even if you think you won't qualify for financial aid, always apply. Deadlines usually fall sometime in late September to early October in the year preceding the enrollment year. Make sure you pay close attention to these deadlines, as they change yearly. Tip: Use FAFSA4caster to get an estimate before you submit your FAFSA. FAFSA4caster is an early eligibility estimator that can help you plan ahead. For more information on the benefits of student loan interest payments during tax time read Tax Benefits for Higher Education Expenses. Once you start applying to schools and get admitted, you will receive notification of your financial awards. They may differ between schools. A lot of the need is based on the "cost of attendance." This is how much it may cost you to attend the school. It includes tuition, room/board, and living expenses. You can then compare the offers from various schools, if you receive admittance to more than one school. Again, you may receive different offers from different schools. For example, you may receive more financial aid from a more expensive school than a less expensive school. The cost of attendance is higher, which increases your financial need. Once you know how much you may receive, consider your options. Scholarship and grant money may not require repayment as long as you meet the terms of the agreement. Loans, however, require repayment. If you qualify for federal funding, learn about the repayment options below. If you must also use private loans, make sure you read the fine print. Undergo financial counseling at your chosen school. The counselor will cover the basics of student loans. It's their job to make sure you understand the loans you undertake. We discuss the implications below as well. Be sure to ask any questions you may have and use them as a resource to better assist you in repayment. Sign a promissory note. This document creates an obligation for you to repay the lender. It shows the details concerning the agreement, including the repayment terms and interest rate. Before signing this document, make sure you fully understand the loan(s). Standard Repayment: The general repayment plan is a 10-year term. You pay a fixed interest rate during this time. It offers the shortest repayment period, but the highest payments. 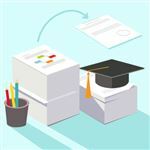 Graduated Repayment: After your grace period you will begin by making payments less than the Standard Repayment and they will increase gradually every 2 years. It offers a good transition for new graduates starting a new career. Extended Repayment: Your loan servicer may extend the term of repayment. There are options up to 25 years. If you have direct loans, they must total more than $30,000 to qualify. Note that any payment plan aside from the Standard Repayment Plan is not automatic. You must discuss your options with your loan servicer. You can then choose the option right for you. If you are eligible for any type of loan forgiveness, you may choose from the following repayment plans. Keep in mind if you are married and your spouse has federal student loans all of this is considered when setting up an income driven repayment plan. Income-Based Repayment: You don't pay more than 10% of your discretionary income. Every year, you get re-evaluated. If your income increases, your payment does too. Income Contingent Repayment: You pay one of two amounts: 20% of your discretionary income or your fixed payment on a 12-year plan. Income Sensitive Repayment: The loan servicer bases your payment on your annual income. Generally, you pay 10% of your discretionary income. Some income-sensitive programs don't have a maximum payment, though. This could send your payment skyrocketing if you hit it big. Discretionary Income: This is any income you make that exceeds 150% of the National Poverty Level. Many of the above programs offer student loan forgiveness. Any principal balance left over after 20 years for undergraduate loans is forgiven; 25 years for graduate loans. You may owe income taxes on this amount, though. Starting college is exciting and overwhelming at the same time. The money decisions you make now could affect you for many years. When you receive your financial aid package, we encourage you to read it closely. Consider what you need, and know that you don't have to accept every type of aid. Grants and scholarships are a no-brainer. Beyond that, make sure you understand your loan options and how you will pay back all that you need to borrow. It may seem exciting to have large numbers in front of you, promising to help you pay your way through college. Think of the future, though. You may pay large amounts of interest on some loans. For any loans you do take, stay in contact with your loan servicer if you think you're going to run into any money trouble. Understand your options for paying back what you owe. And talk about any problems you have paying the loans. You may be eligible for help or loan forgiveness. Unless you ask, you won't know that the federal government wants to assist you in times of need with your federal student loans. Is Navient your federal loan servicer? Read on for what you need to know. Learn how to avoid common problems. Struggling with your student loans? REPAYE program allows you to pay a lowered amount based on your income. Learn more and find out if you qualify. 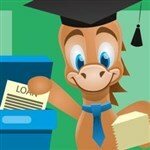 Leave a comment about How Do Student Loans Work?